Happy new year from Quirkshop! There are definitely obvious currents in the crafting world. Every year before the holidays I head Seattle’s Urban Craft Uprising. I do buy gifts but I also like to spot the latest crafting trends. 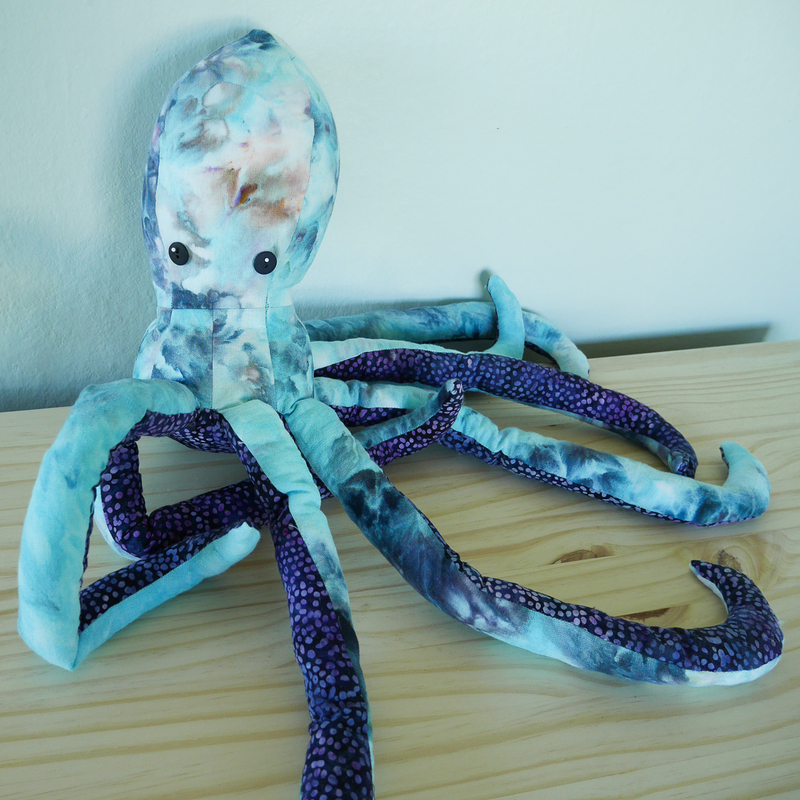 Several years ago plush monsters were everywhere, followed by foxes, octopuses, and yetis. This year there were a lot of hand dyed/indigo shibori goods, minimalistic jewelry, and ceramics. At Quirkshop, we believe that crafting and making is personal and doesn’t have to respond to the rapid cycling trends in the world at large. The people doing truly interesting things are not just following the latest Pinterest fad. So this is perhaps less a trend forecast as a personal statement of what I’m excited about on the crafting front, whether or not it becomes the next indigo dyeing. Nuno felting is a wet felting method where wool is felted onto a lightweight fabric, typically silk chiffon, creating a light, drapeable felt. 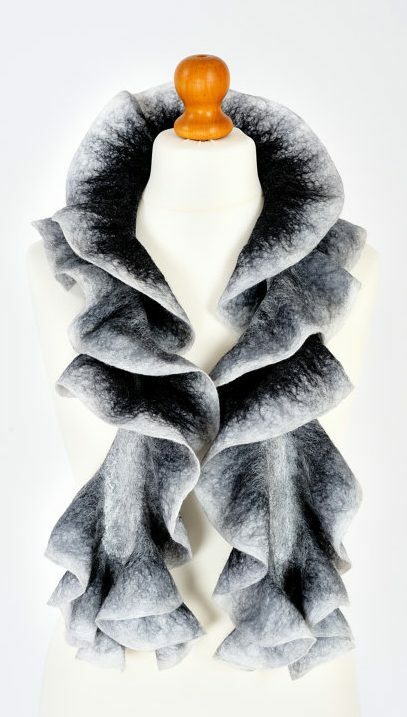 I’m pretty excited by ruffled nuno felted scarves. Wrap them around your neck and they look like flower petals. 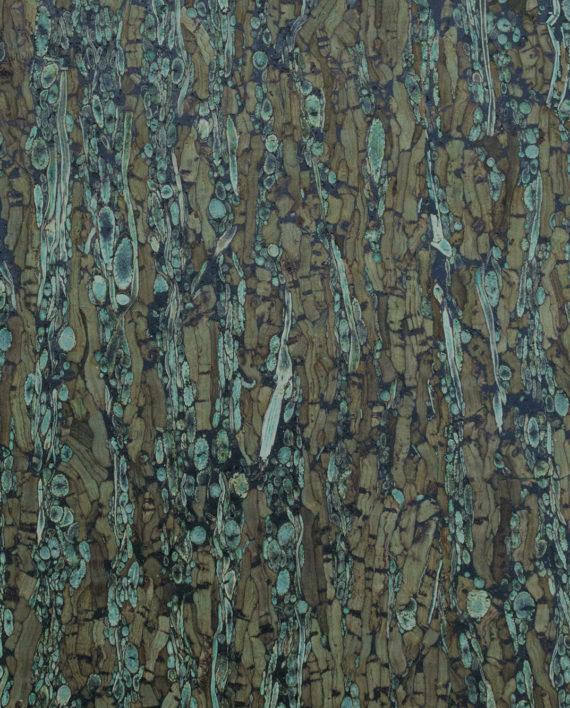 Find this beautiful example here. and this green one one (find it here). 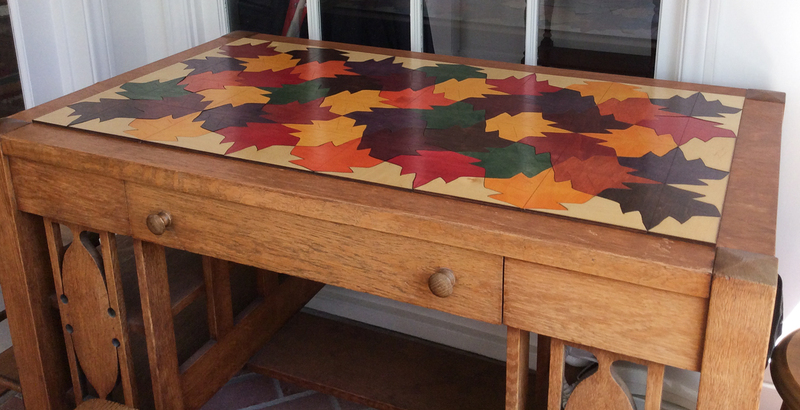 Here’s a great tutorial on how to sew with cork. 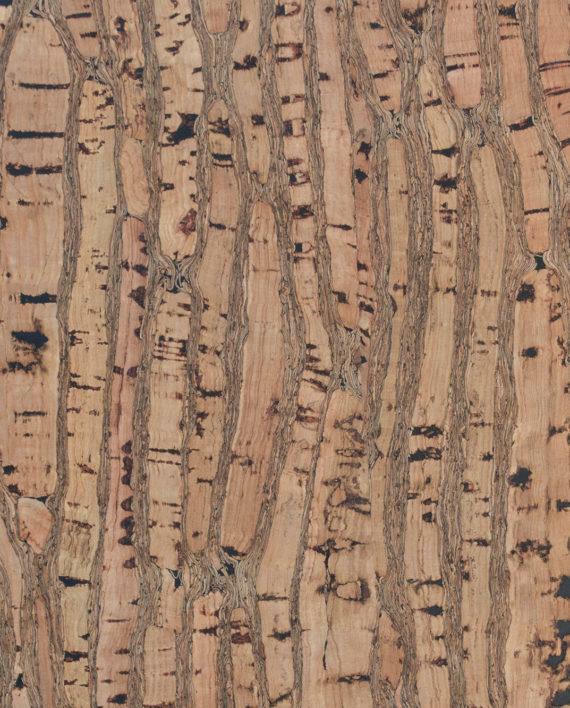 I think there may be a cork laptop case in my future. are undoubtedly cool, but also ubiquitous. 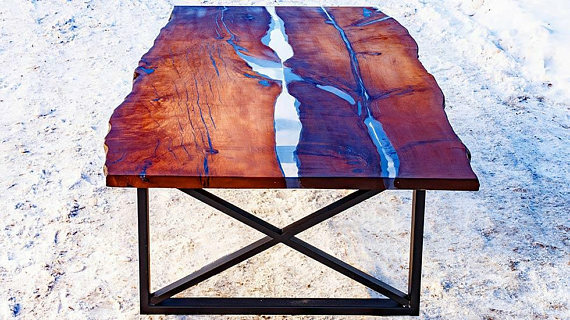 However, I’ve recently spotted wood and resin jewelry and even though it’s the same concept, I’m smitten. 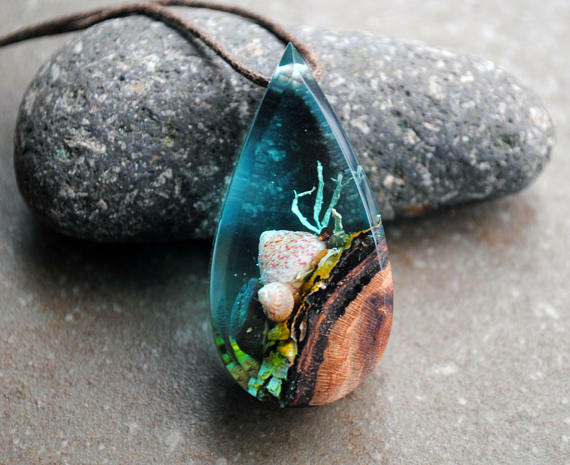 This necklace is like a miniature terrarium! (Find it here). Move over alpacas, sloths are the furry animal darling of 2018. 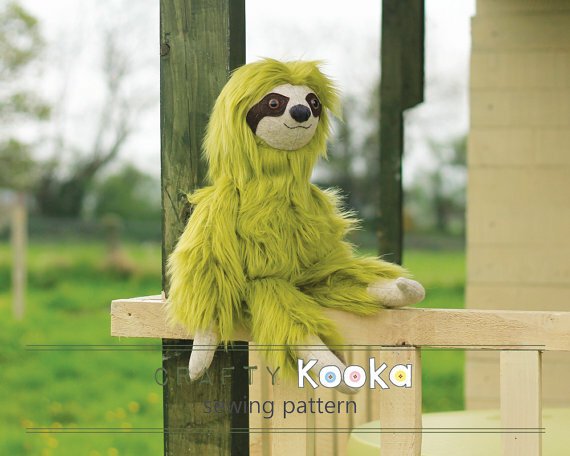 How adorable is this sloth softy pattern (find it here)? 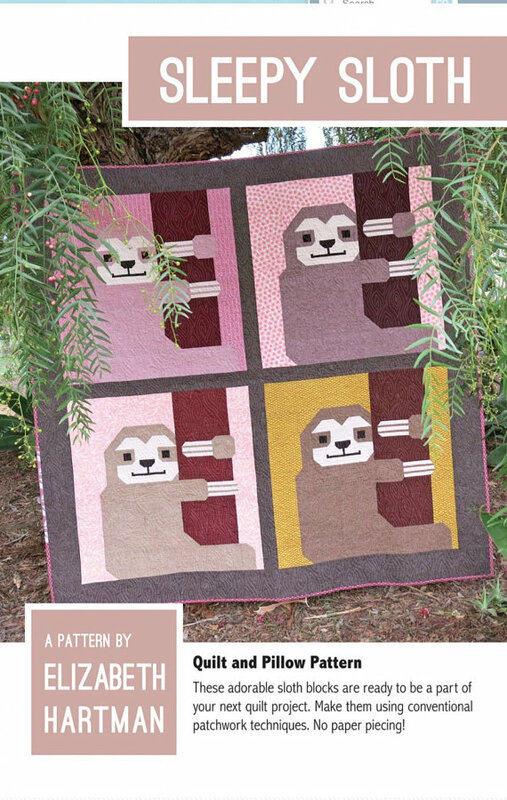 Or this sloth quilt pattern (find it here)? The graphic geometry of last year’s tiles and fabrics is going 3d in 2018. 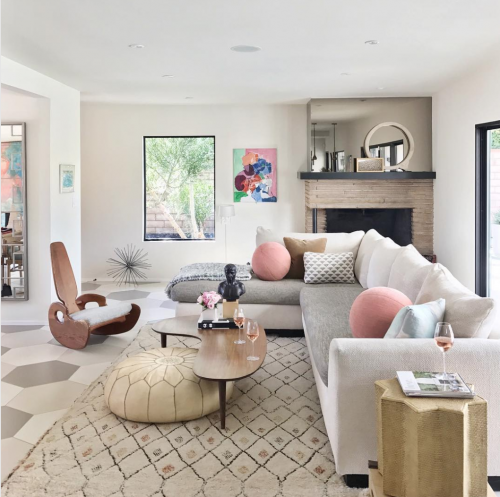 When I saw this image from Orlando Soria’s instagram, I had vision of 3d geometry being a mini trend in the creative couchscapes. I hope to release some of 3d pillow patterns in 2018. Stay tuned! 6. Technology as a means to an end, not an end in itself. 2017 was the year I dabbled in laser cutting, to pretty good success! Ponoko did an awesome write up of my coasters (if you haven’t seen it, you can find it here), and they were a hit with friends and family for gifts. I remember years ago when laser cutting was the shiny new thing. With gee-whiz technology, the first makers can do pretty much anything and it will interesting just because it’s new. I’m not a huge technophile per se, but I have no issue with using the best tools for the job when I want to achieve a certain aesthetic goal. In 2018, I’m excited to see more artistic uses of new technologies. 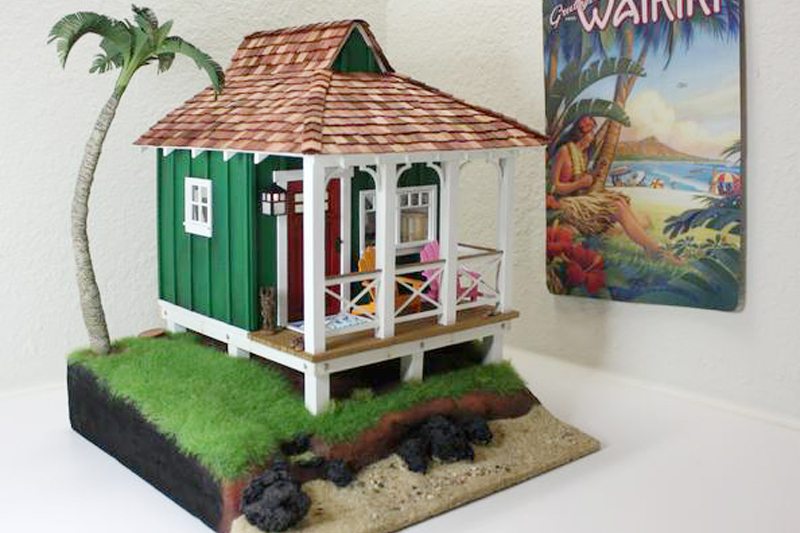 For example, Wishcraft Studio makes laser-cut dollhouses and dollhouse furniture that are just plain awesome (see here for more info), regardless of the technology. I would have died for this as a kid. Looking forward to a creative 2018! 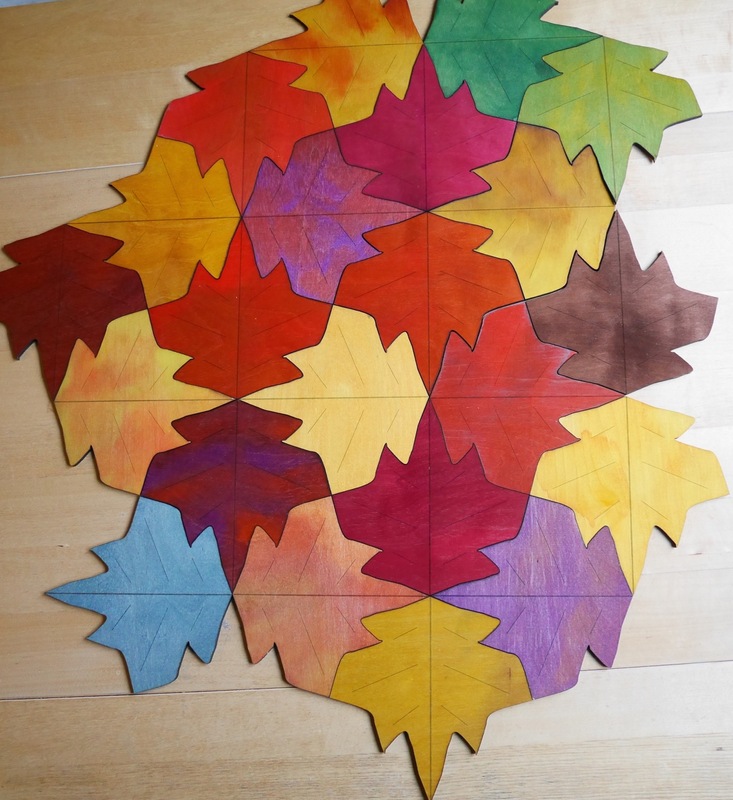 Matisse cutout inspired pillows Inspiration weekend Octopus softie Tessellating leaves table top is installed!